London is one crazy town during weekday rush hour. Granted New York City is just as crazy but somehow, I half expected the crazy rush of rush hour to be a little more relaxed on the other side of the Atlantic. 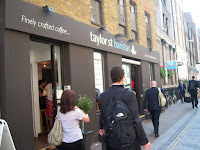 Amidst the wanderings of the morning rush hour in the realm of London's financial district sits a very well-placed coffee venue called Taylor St Baristas. One of five locations, this Aussie-founded operation was created to give Londoners a good cup of coffee in their everyday comings and goings. The New St location I visited couldn't have been better located, as the masses literally spilled off of Bishopgate right past Taylor St's front door. As for doors, the cafe has an efficient entrance and exit worked out, with the line filling the majority of the interior. 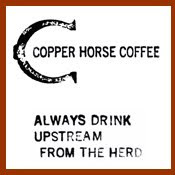 From their multi-barista machine they churn Union Hand-Roasted coffees in both filtered and espresso forms. I ordered a cup of Ethiopian Sidamo via a pump pot of drip, a light coffee with a little caramel, grass, bit of pear, some oregano, pepper and a slight taste of cardboard and staleness (I guess drip was not popular that day). I also got myself an espresso that was pulled short, had decent crema and tasted of lemon, milk chocolate, sugar and nutmeg (a good showing). The tea is East India Tea House. Sadly, a sailor in rough waters has not time to enjoy the scenery (it was too busy to enjoy it fully) but though I didn't have time to linger, I would add that the bustle did not seem to phase the cheer of their employees (always good to have a smile with my coffee). Aside from a little stale drip, the entire experience was delightful. 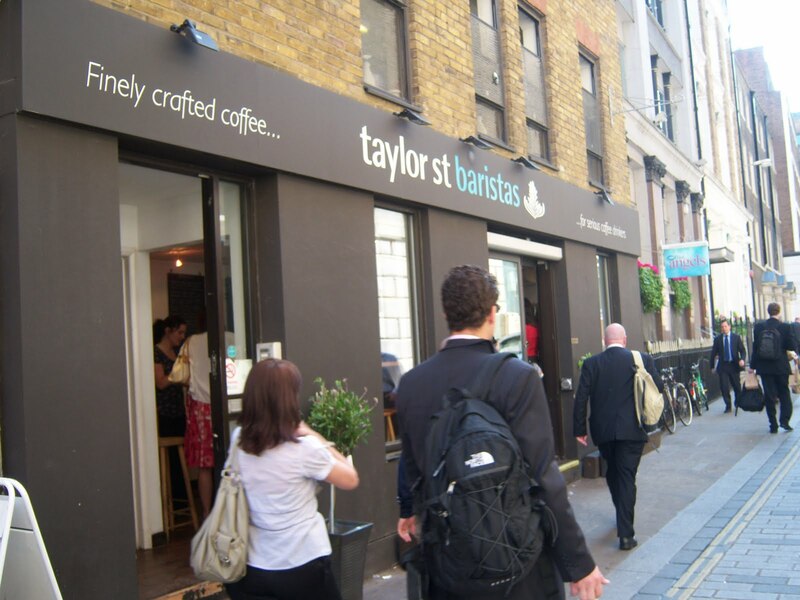 Stop into a Taylor St Baristas location when you're in London. So the news says. 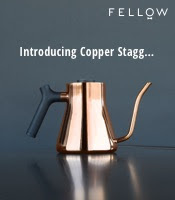 And while I'm (almost) always in favor of the little guy (their product has to be as good if not better), one can at least take minor solace that Tesco picked people who know how to run a decent coffee operation.